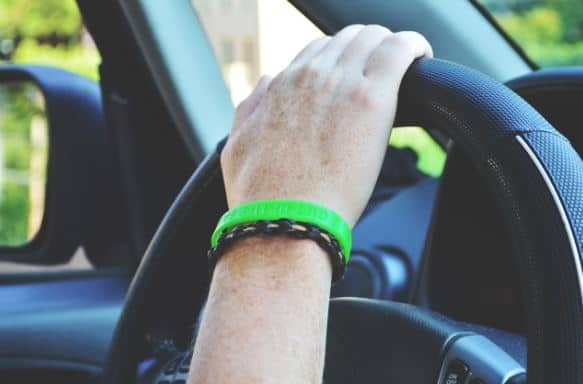 You may feel excited at the chance to get behind the wheel, but it’s normal to feel a little anxious about driving too. That’s why you should use the tips below to stay safe on the road. Always use your seatbelt, even if you’re just going for a short drive down the block—it’s the law! Never drive under the influence of drugs or alcohol. Remember that prescription medications can impact your driving too. Avoid driving at night if you don’t have much experience behind the wheel. Watch the forecast to avoid any inclement weather. Always try to stay at least two seconds behind the vehicle in front of you. This can help give you more reaction time in the event of an emergency. Never use your cellphone in your car. If you ever feel uncomfortable or unsafe on the road, pull over somewhere safe. It’s easy to get distracted on the road, especially when you first get your license. Don’t drive with more than one other person in your car until you feel more comfortable behind the wheel—this will help you to stay focused on the road and the traffic around you.